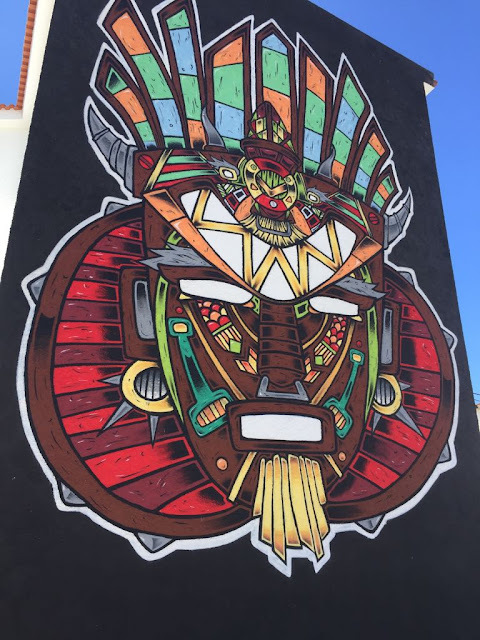 Mural in Bairro da Torre, Cascais (Portugal), painted in June this year for the initiative Arte Urbana Infinito (Infinite Urban art) and painted by Ayer Oner. A bright mural Celeste, thanks for contributing to Monday Murals. ...nice and bold and colorful.